Oh how these kids have grown. They don’t look like this anymore, they are a whole lot fatter! They sure are some happy brothers. The older they get the funnier they are. Its a lot of fun to just watch them as they play around. When it starts to get dark they know its time to come in and so thats when they come to the back door and decide to play. They come up the steps and make a lot of noise so we then open the door and then they go running! We shut the door and 2 minutes later they are back. Ready to do it again. It cracks me up. I can’t wait to have more!! May the New Year be great. Wishing you all the happiness you can have! Please treat Mother Earth with Love and Respect. Next time you grab a Single Use Plastic, think about it. Can you use something reusable? Save our Oceans and Wildlife. Help reduce our Plastic Pollution. Make a Change and Make a Difference! Bringing in the New Year with a Contest!! 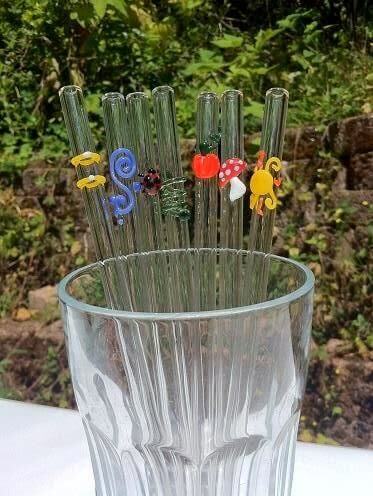 You will have a chance to win 2 Exclusive Heart Accent glass straws along with 4 clear glass straws!! All are 9.5mm diameter and approx. 8″ in length. *** In case you did not know there are 500 MILLION plastic drinking straws that are used daily in the United States alone. If we all decide to do something about it and find an alternative we can reduce that number. Just remember to say “No straw please” when you go out to eat. Sometimes you need to say that even before you sit down. Exclusive Accents on our Eco-Friendly reusable Glass Drinking Straws. Want something that truly defines your home or business? How about custom eco-friendly glass straws that capture the essence and ambiance of your venue. Our master craftsmen can help create the perfect set for you. Each straw is hand crafted with unique custom accents that set each piece aside as a work of art. 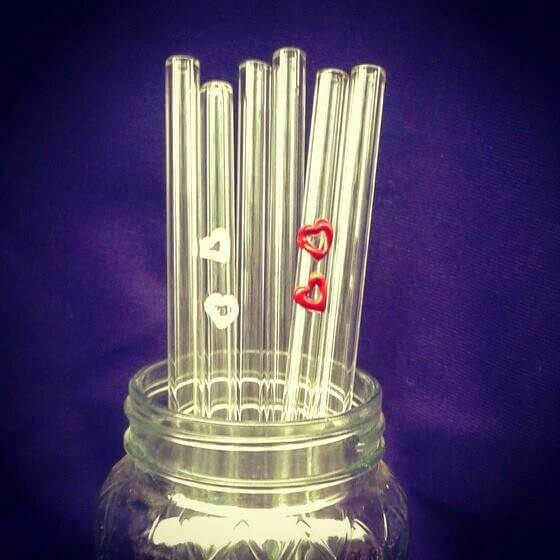 Now through February we are featuring Hearts on our glass straws, for all you lovers out there on Valentines Day. Please note that we will be offering hearts at any time since they are great straws for Weddings and other special occasions. “Nestled among the mossy conifers of the regal Pacific Northwest, DrinkingStraws.Glass family’s roots in the cascade mountains are as deep as the firs’. Drawing from their lush environment to inspire wondrous works in glass that rejoin functionality and aesthetic to offer an elegant array of glass wares that put the preservation of ecological balance at the roots of their practice. When they aren’t enriching their skills and crafting new works, these artisans are otherwise bustling about enjoying all that this region has to offer. In the Pacific Northwest that often means pursuing indoor interests. In addition to the glasswork, this family makes interesting, eclectic clothing and accessories. From provocative pins to kaleidoscope robes, these folks are always creative, and it is always a one of a kind. Rain or no, you can’t always stay inside. Their studio is located on acreage that works with the flora and fauna to create a sustainable environment for all life. 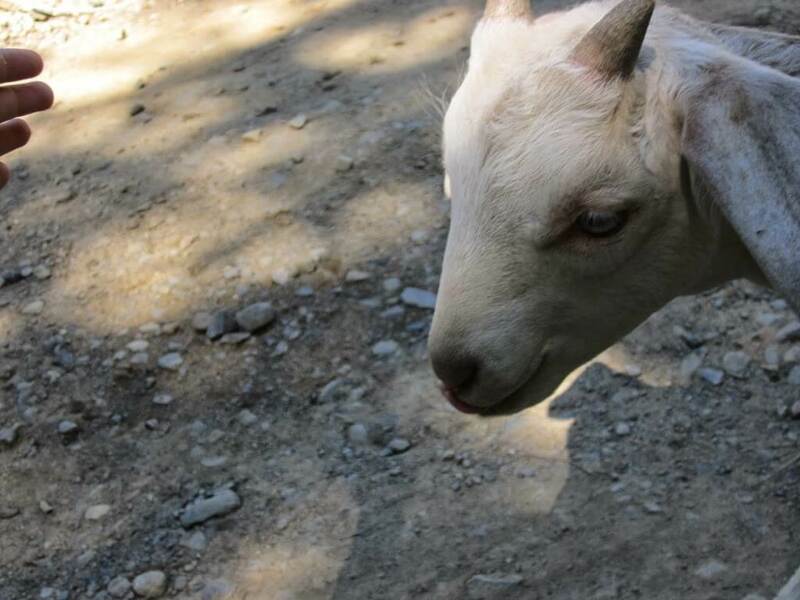 This means when they aren’t being artistic, they are cultivating gardens, building shelters and maintaining living spaces for their herd of goats. When seasons permit they can be found foraging the local forests, using their knowledge of indigenous plant species to find treasures, such as the chanterelles that they can and pickle in their own sumptuous blend of herbs. 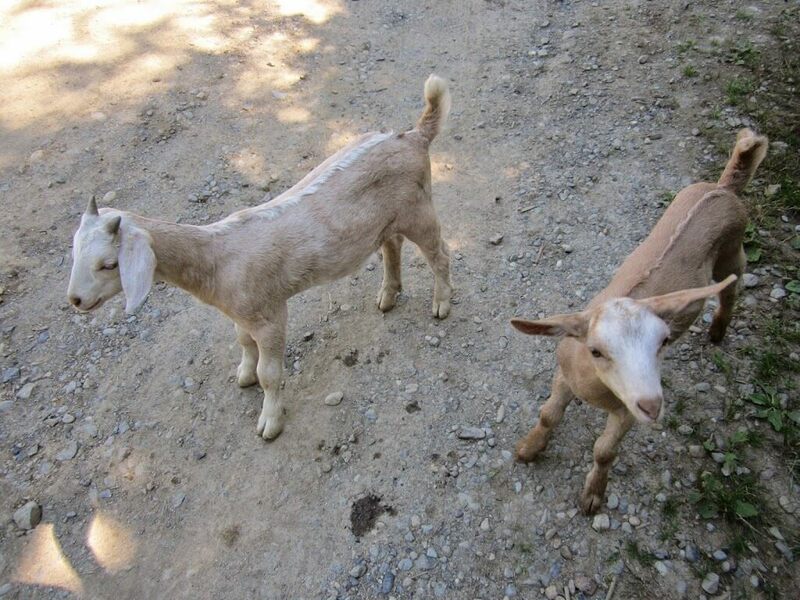 It is their goal, and they are well on their way, to utilize their 10 acres to create a fully self-sustaining farm that promotes ideas of this practice with average resource accessibility. When you love what you do, you are hardly working, but as the saying goes, ‘work hard, play hard’. If they aren’t busy on the homestead, this family is known for being positive, high-spirited participants in many festivals as merchants, organizers, merrymakers and plain ol’ down and dirty grunts. As members of any community they are dedicated to the commitment and honest work that comes along with any responsibility.